Shadowing a physician can be a wonderful opportunity for students, such as myself, who are interested in a career in medicine. With consent from patients, one may attend visits alongside the physician. This experience can give great insight into what a physician’s typical day may be like. I am currently a graduate student at Virginia Tech studying to earn a master’s degree in Human Nutrition, Foods, and Exercise. After having a hard time finding a local physician to shadow, I consulted two friends who are medical students at VCOM for suggestions. They both recommended that I reach out to Dr. Colliver who has a strong passion for teaching students. After contacting his office, I was pleased to learn that he would be able to accommodate me. My week-long shadowing opportunity provided me with invaluable clinical exposure to patient care. During patient visits, I was able to stand back and observe Dr. Colliver. The first thing that I noticed right away was his impeccable bedside manner. Of all my previous clinical experiences with volunteering and shadowing, Dr Colliver has by far the best doctor-patient relationship. He introduced himself to all his new patients and created a welcoming environment by taking his time with all his patients. Dr. Colliver addressed and reassured his patients’ concerns as well as ensured that patients did not leave with any unanswered questions. I feel that such etiquette-based communication is very important and that every healthcare professional should model themselves after this behavior. 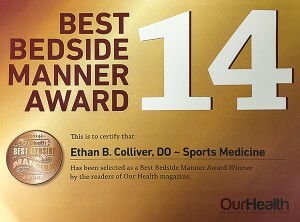 With 14 years of training, Dr Colliver truly is an expert in pain management. I was amazed at how effortlessly he was able to evaluate and diagnose patients, analyze imaging, and perform nerve conduction testing. I was able to observe a few procedures that were performed at the clinic as well. The ultrasound-guided injections and electromyography were fascinating to witness. Something that I especially appreciated was his incorporation of Osteopathic Manipulative Treatment (OMT) in his practice. 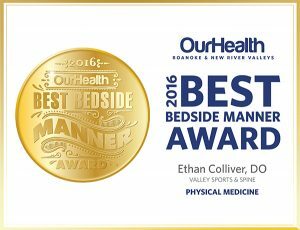 It was satisfying to hear patients stating that they instantly felt lower levels of pain after Dr. Colliver performed OMT. Observing OMT in interesting and made me appreciated the vast amount of training involved. While Dr. Colliver filled out paperwork in between patient visits, I would observe his staff. 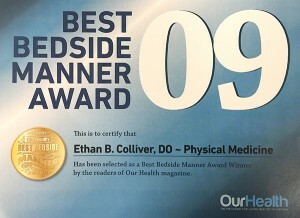 Dr. Colliver selected a great tem of healthcare professionals for his practice. 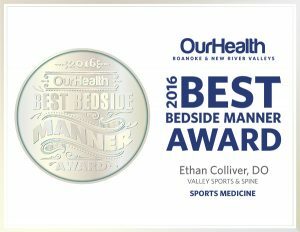 All the members of his staff were very knowledgeable, friendly, and also practiced excellent bedside manners. “bench to bedside” transition of scientific discovery to clinical application. Those who conduct health-related research, including myself, ultimately seek to fulfill the purpose of finding new discoveries and ways to improve health. When that research is published, we rely on the front-line professionals, the health providers, to engage in evidence-based practice. 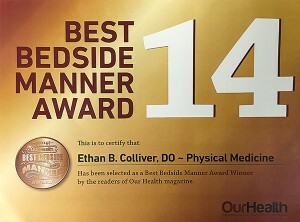 It is reassuring to know that Dr. Colliver and Holly keep up-to-date with current research and new findings that may be useful for his practice. In addition to being informative, this shadowing experience was also quite humbling. I observed patients that suffer from debilitating pain caused by accidents, injuries, and non-injuries. I saw how drastically the pain had changed people’s lives, from loss of work productivity to decreased physical activity. I witnessed Dr. Colliver’s passion for patient care put to work as he helped patients after patient regain control of his or her life and provide relief. Follow-up patients that praised him for their pain relief and improvements with their range of motion were inspiring and satisfying. This experience only served to strengthen my decision to pursue a career in medicine. 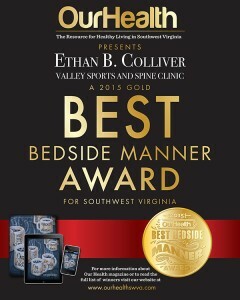 Thank you Valley Sports & Spine Clinic for providing me with an excellent clinical experience!